From today, users of our myForest service can query resource information across multiple properties which can help support collaborative woodland management. Suited equally to woodland co-operatives or managers with multiple clients, the new functionality aims to improve efficiency by enhancing collaboration, with the main outcomes that more woodlands are managed well, and more home-grown timber reaches the market. Most of Britain’s large plantation forests are managed as part of a crop rotation, but there are many smaller woodlands across the country, often part of mixed farms and estates under separate ownership, which are not being managed as costs can be prohibitive at small scales. There can be distinct opportunities from scaling-up, such as: combining timber volumes to meet a new market demand; mixing timber from multiple small parcels to reduce haulage costs; or by undertaking similar operations at the same time of year to reduce costs. However, it can be complicated for agents managing data between clients, or for a co-operative project knowing enough about the resources managed by different members. 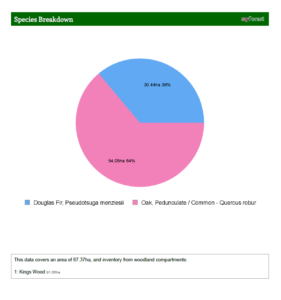 search for species plus associated data (e.g. height, stem diameter, quality) across all properties/clients/members. export sub-compartment information from these searchers into Excel to help with data management and manipulation. browse sub-compartment locations on a map to view distances and conditions between different properties. import data from new clients already on myForest, including mapping and inventory data. search for areas with designations, such as SSSIs. restrict searches to sites with felling licence applications. The project arose thanks to collaboration with the Argyll Small Wood Coop. The Coop were working hard to provide their members with management plans, but were looking for a way of being able to query the information they had collected across their membership base to assess opportunities for collaborative management and marketing. Coop member Jamie Smith had a small parcel of oak on his farm that the Coop was trying to market for him. There was a possible market available but because of the small volume of the parcel, haulage costs would make the operation uneconomic. The Coop searched its member database using the collaborative woodland management functionality on myForest to find out if there are any other Coop members with trees of the right specification that could make the overall offering more profitable. The Coop coordinator finds that Eleanor Davis has oak of a similar size on her farm. They agree to market jointly both Jamie and Eleanor’s oak. Jamie and Eleanor’s woodlands entered active management and the woodland operations became profitable. Equally the tool could work in the same way for woodland managers with multiple clients. Sylva Foundation worked closely with Argyll Small Woods Coop and Wyre Community Land Trust to test and improve the functionality. Project funding was provided by Forestry Commission Scotland and Making Local Woods Work, together with core funding support from The Dulverton Trust. As with all new developments in myForest we reply on feedback from the myForest community to make improvements. Please feel free to contact us with your feedback on this and any other aspect of myForest. 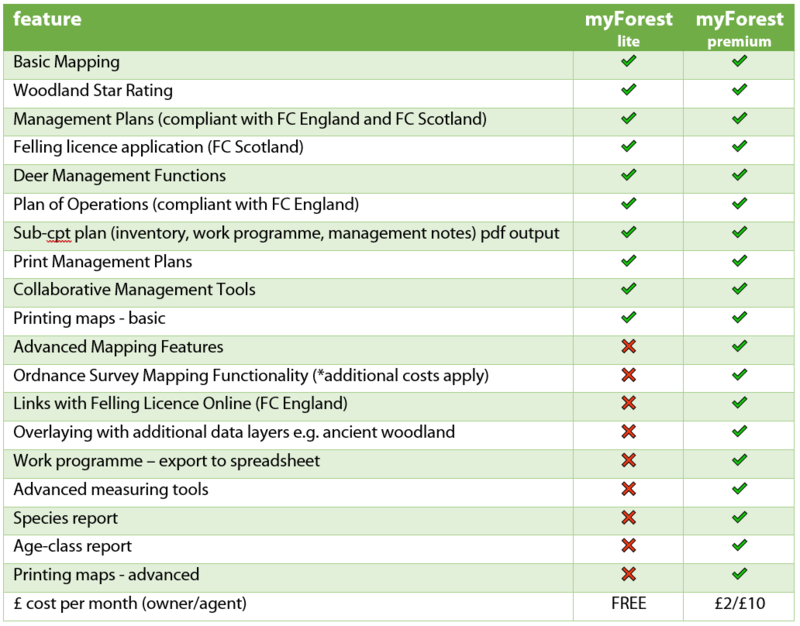 The updated Forestry Commission England Management Planning template is now available on myForest. The update includes changes to the UK Forestry Standard criteria for approving a plan as well as additions to the Woodland Protection section. Updates have also been made to the Plan of Operations including the requirement to specify the type of restocking following a felling operation. We wrote recently about how data collected from the British Woodlands Survey 2017 was informing development of the Forest Stewardship Certification (FSC) for small woodland owners. Today, FSC UK has launched the Small Woods Project. If you’re an owner of a small woodland you may be able to help. To date, FSC has not been as successful as we would like in encouraging small woodland owners to seek certification. Owners have told us that their reluctance is due to too much paperwork, complex standard requirements, and high costs. With this initiative we aim to make certification lighter on paperwork, simpler, and cheaper, while still maintaining the credibility that stakeholders expect from FSC, which we hope to achieve through a careful assessment of risks and opportunities for positive change. Let’s be clear; we intend to be really radical, and to test the limits of the FSC system. We may not end up with a standard that can be used for FSC forest management certification in the UK. But what we learn along the way about just how far we can push risk-based approaches to certification of small woodlands will be of immense value not just in the UK but around the world. To learn more, you can read a more technical introduction to the project. If you’re really keen and think you have what it takes to be part of the group developing the standard, you can read the full, formal terms of reference. We have launched a new version of myForest, used currently by 4,229 people to map and manage 68,744ha of woodland across the UK. This update is the first stage towards the launch of myForest Prime, which will include enhanced functionality and access to Ordnance Survey Mapping. The map editor has received a significant upgrade. This includes the ability to produce maps at regular scales (in fact, at any scale) as well as an improved interface, labelling functions and output. Watch our new introductory video tutorial below. The user account homepage has been streamlined so you can update all your account settings in one place. This includes accessing Deer Management functions and communication preferences. Finally, updates to our Privacy Notice and Website Terms to make it easier for you to understand what information we collect and why we collect it. Read more about myForest [if you are already logged in this link will take you to a page with more videos]. Health and Harmony – what does the future of the environment look like to you? The deadline of 8th May is fast approaching for responses to government’s public consultation about the future for food, farming, and the environment. We urge everyone with an interest in trees, woodlands, and forestry to respond. 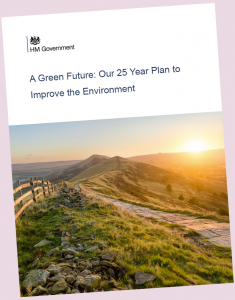 Following the launch of Defra’s 25-year plan for the environment, this public consultation is seen as critically important element in shaping government plans for the environment. Strategies, policies and funding mechanisms are being designed to account for life after Brexit and the Common Agriculture Policy. Meanwhile, Defra is increasingly focussed on ‘public money for public good’. Anyone with an interest in trees, woodlands, forestry, and timber will soon realise that the public consultation is significantly skewed towards farming and food production. We encourage everyone with an arboricultural and silvicultural interest to have their say. Whilst you are steered towards completing an online questionnaire, which can be found at https://consult.defra.gov.uk/farming/future-of-farming, given the bias towards farming you may find it more rewarding to write a separate response outlining your views. Government has made it clear that it is prepared to receive a standalone response, or alternatively you could write a letter to append to your questionnaire response, which should be emailed to agricultureconsultation@defra.gsi.gov.uk . If you would like to back-up some of your personal views with the latest evidence among the woodland and forestry sector, you may want to read the latest British Woodlands Survey report, which contains a wealth of facts and figures on priorities and issues that hundreds of respondents provided last year, see www.sylva.org/bws. If you are a member of Confor, Royal Forestry Society, Small Woods, Institute of Chartered Foresters, CLA, and others, if may be worth checking their membership pages for advice on key issues these bodies would you like you to raise. Deadline for responses is 11:45am on 8th May. The Royal Forestry Society has announced further courses in its excellent line up for woodland owners, managers and others, including a GIS course using Sylva Foundation’s myForest. 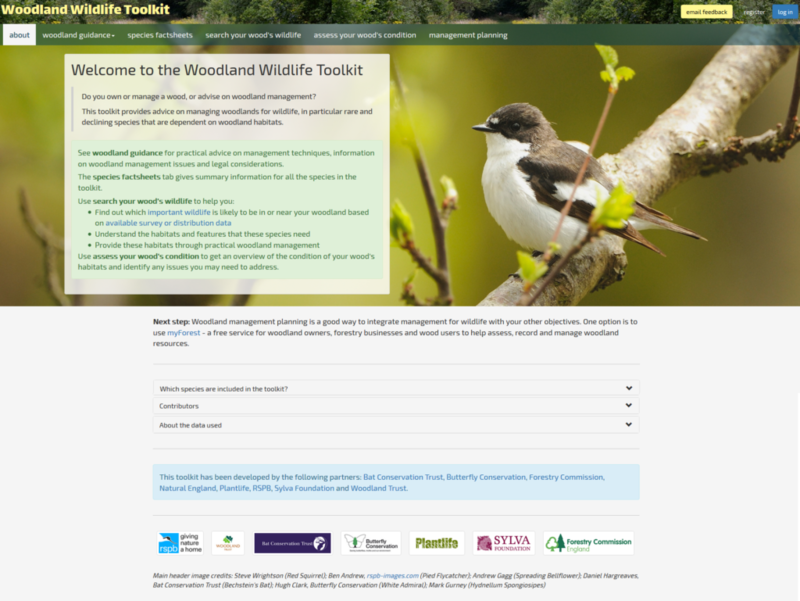 myForest is a free to use online web tool (www.myforest.org.uk) designed to help woodland owners and managers produce management plans. 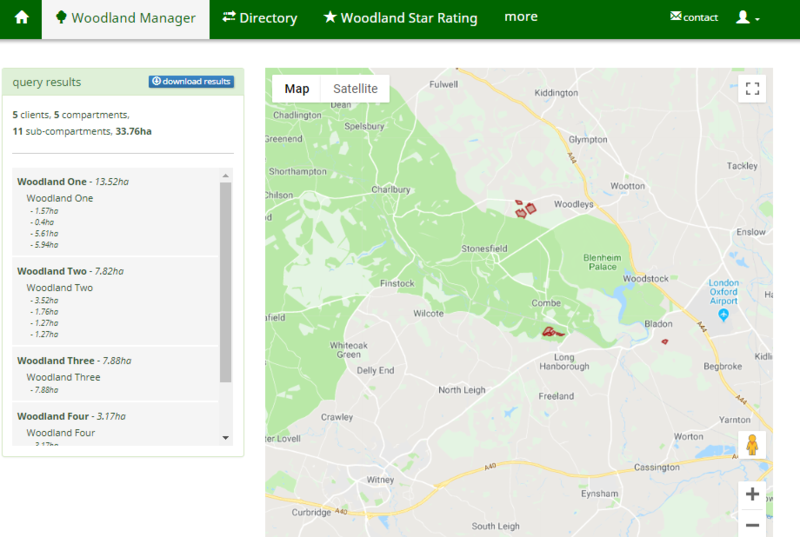 The system allows users to map their woodlands, add information (including inventory and work programme) and produce management plans using Forestry Commission England’s template. Course leader Paul Orsi (Director for Forestry at Sylva Foundation) will take participants through the whole management planning process, from a woodland survey through to producing management plans which can be approved by a Forestry Commission Woodland Officer. Participants will learn how to create a myForest account, map a woodland area, add attribute data, and generate a management plan and associated maps. We will look at what is required from a good management plan and how myForest can help you with this. Thanks to new online technology, landowners and managers now have the ability to create deer management plans and collect and share data more easily to manage and monitor deer population impacts across the landscape, helping to improve the environmental condition of woodlands. Sylva Foundation has been working with the Deer Initiative to allow landowners and managers to create Deer Management Plans and collate annual monitoring data using the myForest Service. The project has been jointly funded by Forestry Commission England and Natural England. All six species of deer in Britain have increased in density and range over the last 40 years. As deer populations have increased, their impact on ground flora and the structure of woods is greater than ever before. In particular, fallow and muntjac deer have had a significant impact on lowland woodlands. Deer may benefit woodland biodiversity at low population densities, but at high densities, their browsing alters three important elements in a woodland: regeneration potential, woodland structure, and ground flora diversity and abundance. Impacts on these elements have ramifications for wildlife which depend on them for habitat and food. Species affected include populations of butterflies and other invertebrates, smaller mammals, birds, and their predators. Collaborative management of deer populations at a landscape-scale is seen as critically important in helping to address issues arising from high deer populations in woodlands. 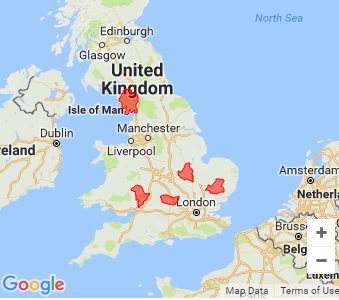 Under this joint initiative, five priority areas (see map) have been identified in England where deer are having a damaging impact on important sites, such as woodlands designated as Sites of Special Scientific Interest. In these priority areas landowners can receive additional support from the Deer Initiative to organise collaborative action across landscapes. “We are delighted to see the functionality we’ve developed in myForest being used to help with deer management. High deer populations are having a huge impact on the regeneration potential of our woodlands which affects them both environmentally and economically. We hope the system will lead to more owners and managers creating deer management plans, and managing their deer populations”. 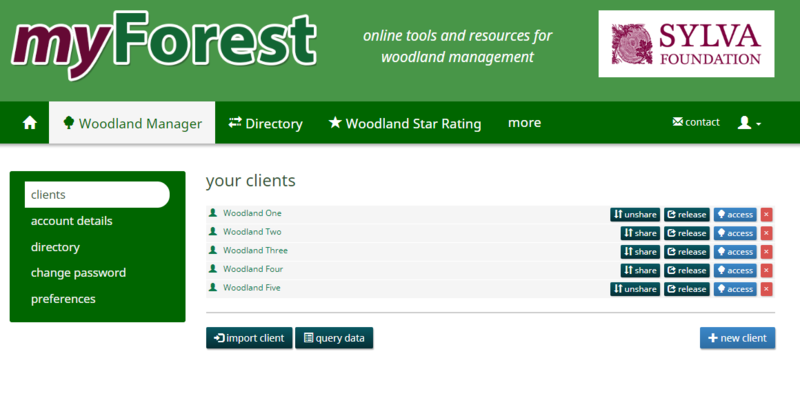 myForest is a web-based management tool for woodland owners and managers. Launched eight years ago it is now used by over 3,500 owners and managers covering an area of almost 56,000ha. It has a directory of almost 800 woodland and wood-based businesses. From 6th October myForest users will be able to use the system to create a Deer Management Plan, using the Deer Initiative’s template. Creating a Deer Management Plan is an important step towards managing deer populations. In addition, myForest will allow annual monitoring data to be stored, including cull numbers and deer impact data, from which users can automatically generate reports. To aid landscape-scale management, users can choose to share their information with local Deer Initiative Officers which will help them monitor deer impacts across landscapes allowing assistance to be prioritised. Although this deer management functionality has been specifically developed for use in the five priority areas it is hoped that it will be useful to users across England, and indeed in Scotland and Wales. 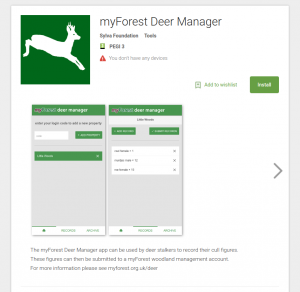 As part of the work to add deer management functionality, myForest will gain its first mobile app. The myForest Deer Manager will allow stalkers to record cull data on the app which can then be submitted and registered on an owner or manager’s myForest account. Owners and managers will be able to keep up-to-date with cull information and remove the need for stalkers to submit paper records. The app is available now on Android and will soon be available on iOS.